John Deere Power Systems manufactures and markets industrial, marine and generator drive diesel engines, as well as drivetrain components for use in a variety of off-highway applications. The full line of propulsion and gen-drive PowerTech marine engines – 4.5L, 6.8L, 9.0L, 13.5L – that range in power from 60 kW to 559 kW (80 –750 hp), meet IMO Tier II, EPA Tier 3, and EU Recreational Craft Directive emissions requirements, while offering low noise, low vibration and excellent fuel economy. The entire lineup is also ideal for repowering commercial vessels, due to their exceptional reliability, durability, fuel economy and performance. Engine package sizes allow for easy installation without major modification to vessels. John Deere recently introduced a full line of radiator-cooled, dry-exhaust manifold industrial diesel engines that are U.S. EPA Marine Tier 3 certified. These engines are ideal for powering vessel auxiliaries including pumps, winches, cranes and hydraulics. The new lineup features a range of choices to keep marine operations productive. 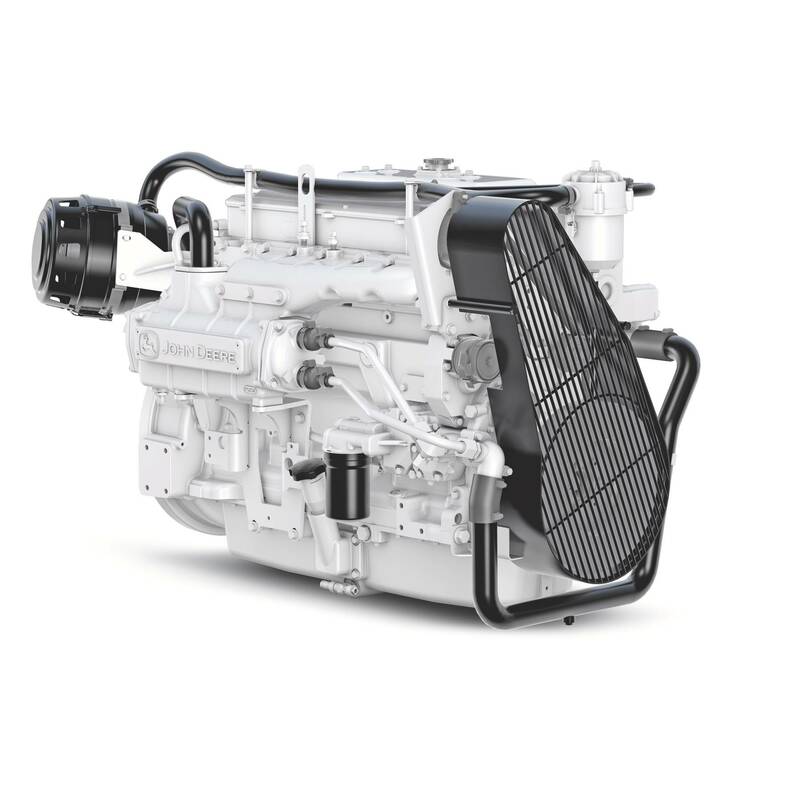 PowerTech Tier 3 auxiliary engines are available with displacements from 4.5 to 13.5L and power ratings from 99 to 600 hp, including constant- and variable-speed ratings. They provide reliable and cost-effective solutions customers expect from John Deere — on the job site or in the water. John Deere is one of the few manufacturers that build engines exclusively for off-highway applications. This specialization has given John Deere unparalleled experience in developing and packaging marine propulsion and generator drive engines. John Deere engines deliver performance, power, reliability, ease of installation and emissions compliance to both boat builders and end users. Mercury Marine won an International Forum Design (iF) award in the Discipline Product category, presented to the company for its V-6 outboard lineup.